Dental implants have had a considerable impact on modern dentistry, offering a highly viable solution for replacing missing teeth. A dental implant is essentially an artificial tooth that is implanted into your jaw. A dental crown is then capped on top for a complete tooth that looks and even feels like a real tooth. 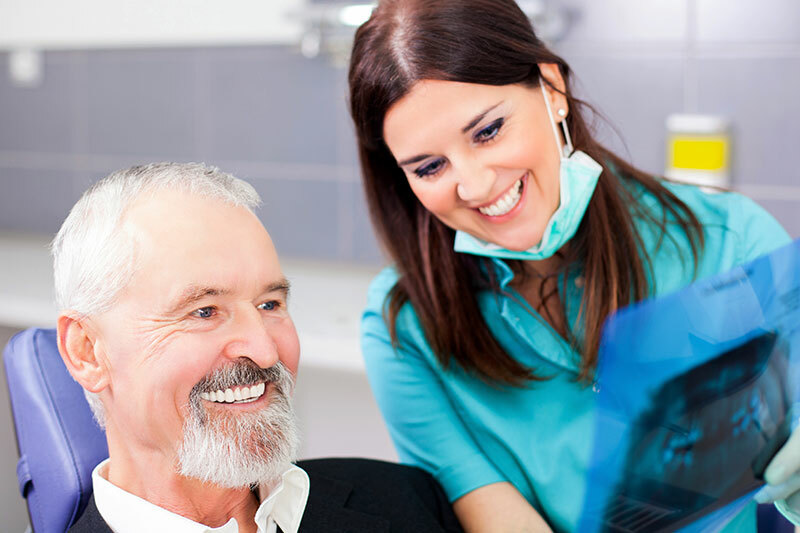 Not everyone is a candidate for dental implants, however, a large majority of patients are. In order for an implant to be placed into the jawbone, there must be a sufficient amount of room and bone integrity to hold the implant. Dental implants have success rates of up to 98 percent, thanks to evolving techniques. They offer superior stability over other traditional options. Dental implants take time to integrate into your jawbone, which can make the entire process lengthy. A titanium post must be implanted into the jawbone. What follows is a process called osseointegration, which helps the titanium to fuse with the surrounding bone. This process results in a strong bond that is similar to what a real tooth offers. Several months may be required for this step. Next, we place an abutment connector onto the titanium implant where a dental crown can be placed. The dental crown will be made specifically to blend in with your teeth for a complete realistic tooth that looks so close to a real tooth that friends, family, and strangers will not even be able to tell the difference. To find out if you’re a candidate for dental implants, please call us at 949-622-0001 for more information.